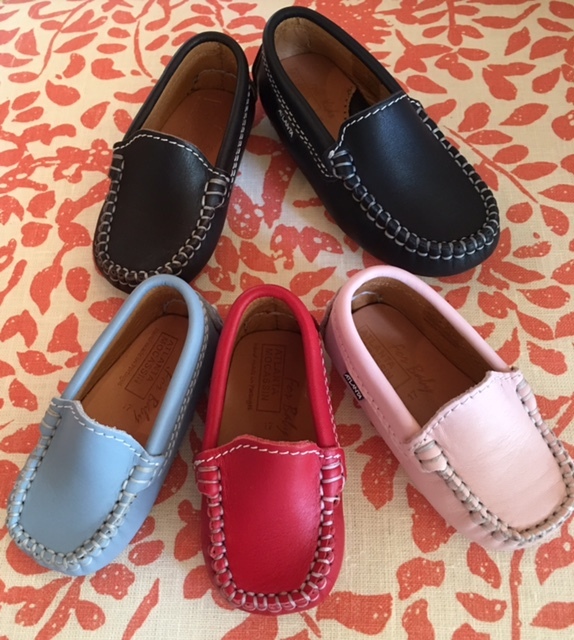 Little leather driving moccasins have been a staple in the Boutique’s children’s department for almost 20 years. 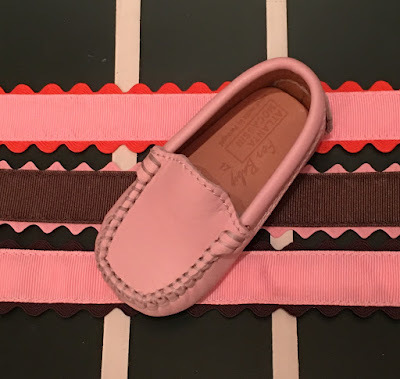 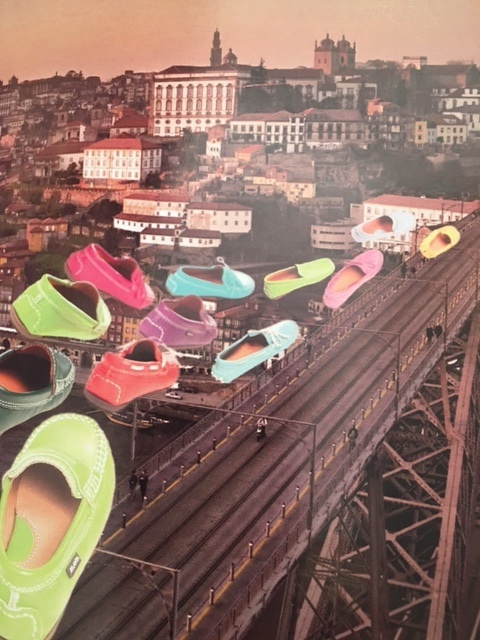 Because the brand we’ve carried for the past 5 years is no longer importing their mocs, we went on a walk-about (pun intended) for another moccasin company. 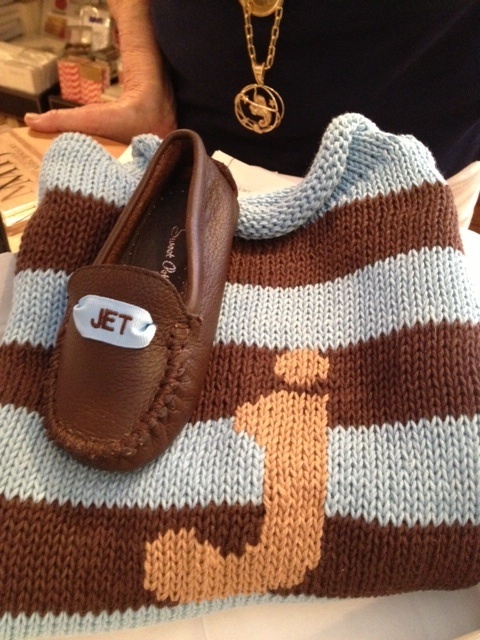 Lo and behold, we found an even better one than we had before….how fortuitous !! Atlanta Moccasins are made of the softest Italian leathers and come in a myriad of colors and sizes. 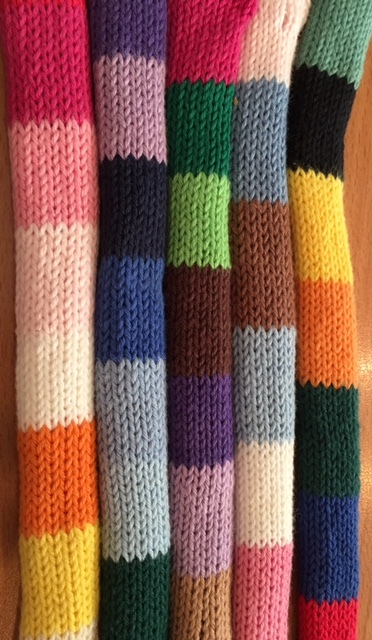 if you would like a pair for your adult-sized tootsies, we can order them for you as well. Although we wanted to carry every single color of driving moc, we forced ourselves to narrow down the in-stock selection to 5 colors…..mainly because we have very little space to store more. Our current stock consists of Red, Navy, Chocolate, Light Pink and Light Blue. 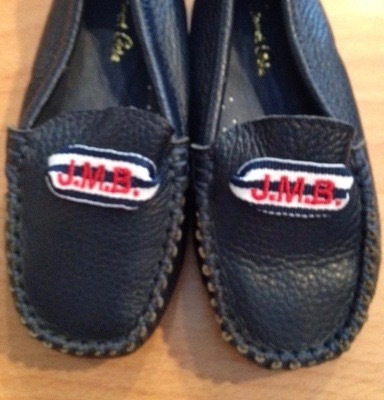 We have sizes 17 to 21 in all colors and additionally 22 to 24 in Red, Navy and Chocolate. If you would like a size or color we don’t have, never fear, we can order it for you. Sizes 17 to 20 are priced at $96. 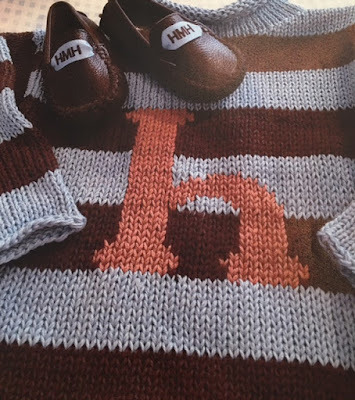 and 21 to 24 are $110.00. 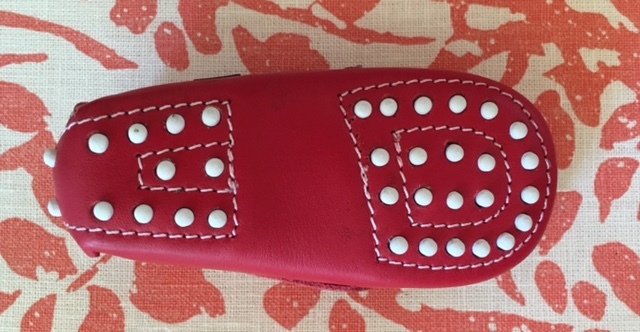 These adorable knob-soled wonders are also available for monogramming. In fact, 99% of those we sell have this option added. 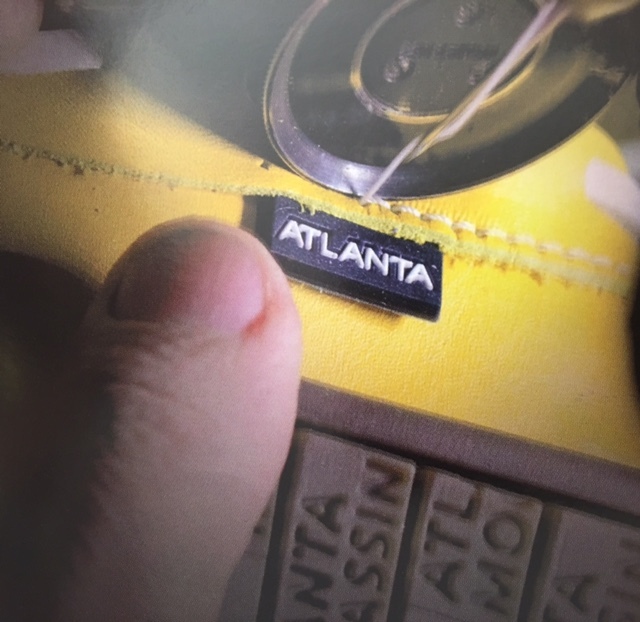 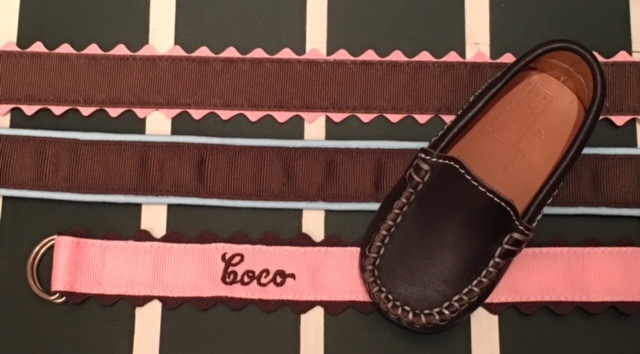 Should you choose to have your mocs monogrammed, you may pick from a myriad of ribbons, and an even greater selection of thread colors. 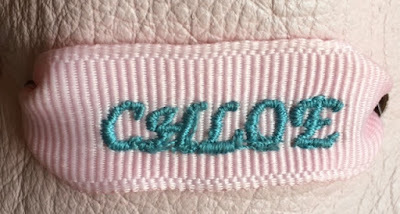 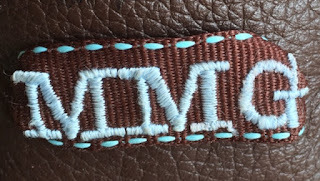 You may have your initials or name embroidered in either script or block letters. And, if that weren’t enough, you can have a super darling ribbon belt with piping or ric rac trim in matching colors. If you dare, have the belt monogrammed as well ! 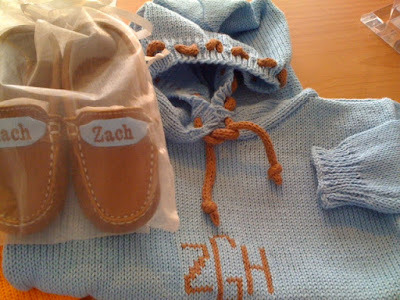 We also have a hand-knit sweater company that can make an initial or name sweater to coordinate with your moccasins. 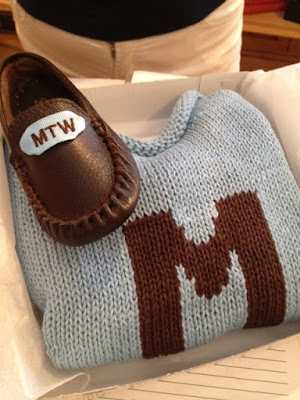 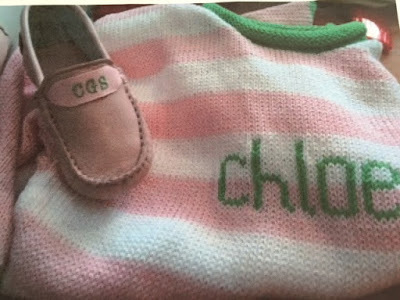 The combo gift of personalized mocs, sweater and belt have become an instant go-to for many a customer looking for a unique new-baby present. Just choose your yarn colors to match your moccasins and voila, your sweater will be made in 5 weeks or less. 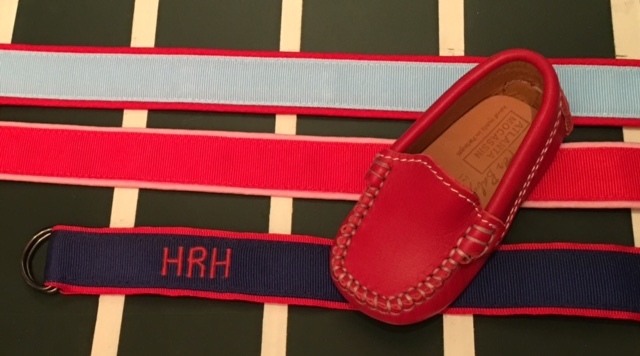 When you are back in town, come on in and see these special little shoes. 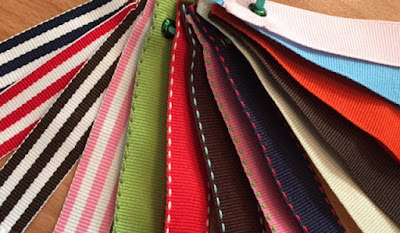 if you are in need of a present before your return, please email or call the boutique and Betty can help you long distance. 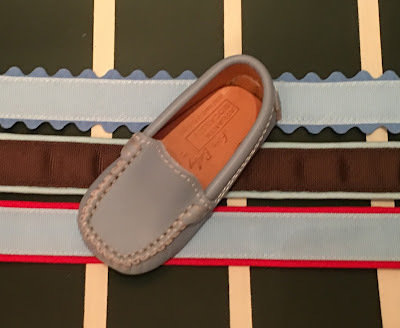 Warning: Just because your enfant has his or her driving mocs on, it does not give them a license to drive, even if they do look like they are ready for the autostrasse.